Brightwater’s connected health service supports people living at home with chronic disease by providing them with the tools they need to take control of their own health. Brightwater initially conducted a connected health pilot project, which, based on the positive outcomes and feedback from both staff and clients, is now a permanent offering of Brightwater’s At Home Services. A Tunstall Healthcare partner since February 2015, Brightwater has provided care services to Western Australians for more than 115 years. Toni Jackson, Acting Manager of Brightwater At Home, said Tunstall’s connected health solution augments Brightwater’s existing care network by providing clients with a system to monitor their chronic conditions and vital signs. “Patients with varying chronic diseases are monitored through the program, with Brightwater registered nurses working with individuals and their GP to tailor health and monitoring plans based on their conditions and health needs,” said Ms Jackson. “Using Tunstall’s Integrated Care Platform, including a touchscreen tablet, myClinic monitoring software, and vital sign peripherals, patients self-monitor their vital signs. “Health data is transmitted to the ICP Triage Manager patient management system which prioritises readings for clinical triage. “If vital sign readings are outside of the patient’s monitoring plan range, ICP Triage Manager raises an alert, allowing a nurse to coordinate the appropriate response, in consultation with the patient and their GP,” Ms Jackson said. Brightwater At Home Clinical Nurse Robyne Calder is also strong advocate for the service. “When clients report feeling unwell we can log on to ICP Triage Manager and view the patient’s latest results,” said Ms Calder. “We can also easily identify trends or changes in their health and download readings in the form of graphs to send through to their GP,” she said. Ms Calder was also pleased that the program facilitates patient’s self-awareness of their conditions and increases efficiency for Brightwater staff. “The video conference function has reduced our need for face-to-face visits, decreasing our time spent travelling and increasing the number of patients that we can support,” said Ms Calder. Brightwater At Home has also received extremely positive feedback from clients about the connected health service and support staff. Edna, 72, lives with COPD, diabetes, chronic cardiac failure, myocardial infarct, rheumatoid arthritis and hypertension, and has been a happy customer through the Brightwater program since 2015. “I was referred to Brightwater’s transition care program when I moved back home after a nine-week stay in hospital with a chest infection,” said Edna. ”Brightwater provided me with Tunstall’s myClinic hub and showed me how to measure my vital signs and answer the clinical questionnaire,” she said. Edna’s vital signs are monitored daily by a Brightwater clinician who works closely with her to better manage her conditions. Since using the connected health program, Edna is more aware of her health conditions and normal vital sign ranges, and feels more confident knowing that her health is being monitored. “Tunstall’s myClinic system gives me confidence to remain at home,” said Edna. “The nurses ring if there are any problems with my health recordings; they check how I am feeling and offer solutions and advice. “I would definitely recommend the connect health program. “It has given me a great sense of security and self-confidence in managing my health conditions,” Edna said. Brightwater is a not-for-profit organisation that supports people of all ages to live a better quality of life. The organisation’s services are extensive, from short and long-term residential accommodation and rehabilitation services, to assistance in the home and include specialist skills in supporting people living with Dementia, Acquired Brain Injury and Huntington’s Disease. The internationally-recognised Brightwater Research Centre enables the organisation to keep innovating, to trial and measure outcomes to ultimately deliver new ways to enhance the lives of their residents and clients. 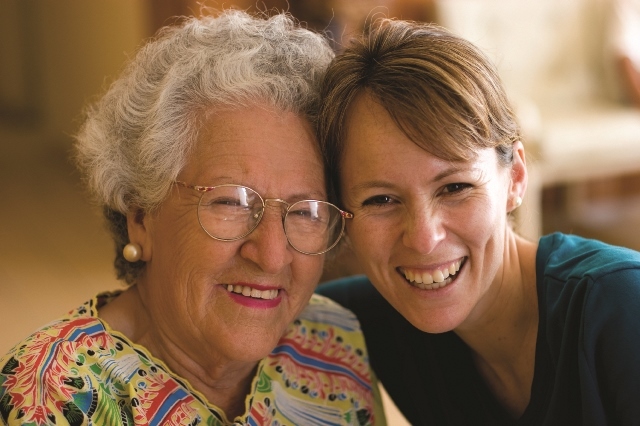 Brightwater approaches care with a compassionate philosophy treating each client as a unique individual, and helping them to live the best life possible.